Nik’s Chicks is only a time and place to meet & a program to follow. I cannot join you on every run/workout. If you are new to exercising, it is advisable to have a doctor’s OK prior to beginning. Please sign my waiver (in “About”) and fill out my contact info sheet when you arrive for your first run. Fitness has to be fun. If it is not play, there will be no fitness. Play, you see, is the process. Fitness is merely the product. Weekly Chirp: I have been actively recruiting for the new programs starting on March 3. (My hockey team ladies can vouch for this!) Every time a friend, hockey mom, or referral says “yes” to a program, I get a little thrill! It’s one more person who is ready to embark on there own personal journey. For some it’s about losing weight, and for others it’s about finding “me” time. Some women are feeling unmotivated running on their own and think (rightfully so) that working out in a group will help them be consistent. Some ladies are getting downright “uncomfortable” and are starting running – something they have never envisioned themselves doing. Whatever reason you have for joining Nik’s Chicks, you need to be prepared for what happens when you become part of this wonderful entity!! You will start off nervous (we all did! ), make new friends, smile, laugh, have fun, reach goals and set new ones, miss some workouts, get a little achy, lose your sense of direction, stop for pee breaks, get sick, look good even if you are slow, swap tips, run in a race for fun, get hungry, see new parts of Oakville, check out landscaping, share stories, shop or socialize outside of running, celebrate new milestones – running or otherwise, play, embrace your body, get out of your comfort zone and just plain feel good about yourself! Call me crazy, but how could you not want to be a part of this group?!! New Learn to Run 5km, 10km, Ottawa 1/2, Triathlon and Swimming: I will begin these programs March 3 – mark the date on your calendar. I already have 6-8 ladies waiting for the 5km run pgm and around 10-12 ladies considering the try-a-tri! That’s not to say that you cannot join or come back to the group until then. You are welcome to meet with the rest of the runners and follow the 5km program at your leisure. I have posted a new Try-a-tri/Sprint Tri program that incorporates the Learn to Run 5km program in the “Training Programs” menu. Please feel free to mention the programs to your friends! For those of you planning on either Toronto Goodlife or Mississauga 1/2 marathon races, your training from 10km base will begin on February 18. Attention Marathoners: I have tweaked the Marathon Program to accommodate those of you running the Mississauga Full instead of the Ottawa Full. Learning Open Water Swimming Technique: I am looking at Thursday, February 16th to have the “Easy Freestyle” DVD viewing night. It will start at 8:15 – replacing the Thursday night run – and will last around 1.5 hours. Please RSVP me at mclaughlins@cogeco.ca so I will have an idea of number of Chicks. Watching the video will help to explain the “Total Immersion Tips” that I have posted in the Helpful Information section of this site. You can also check out a 6 part series, “Total Immersion Perpetual Motion Freestyle” and the 8 part “How to Work Less, Swim Better in Triathlon” on YouTube. The Total Immersion technique does work – I reduced my swim times during my triathlons and no longer exit the swim portion utterly exhausted! It’s worth the time and effort to learn it! Goodlife or Mississauga 1/2 Marathons: Just a reminder that you need a 10km base by Feb. 18 to begin the 1/2 marathon program for these races. Shirts: You can take one home to try one on if you wish. Total cost will be 52.00 each, taxes in (similar styles sell for 70.00 – 80.00). I have 3 smalls, 2 mediums, 4 larges, and 3 x-larges in stock). Sam has a medium, worn once, to sell for 30.00 in case you are interested. Check out the Wasaga Beach Triathlon photos for a peek at the shirts in action. Swimming Goggles: I had some questions regarding goggles. I have gone through many different types. Speedo Vansquisher with extra nose pieces were OK, Nike Remora were narrower and fit my face but last summer I latched onto Aqua Sphere Kayennes! Very comfortable (no racoon eyes post-swim), easy to adjust. They are expensive but they seriously never leak! 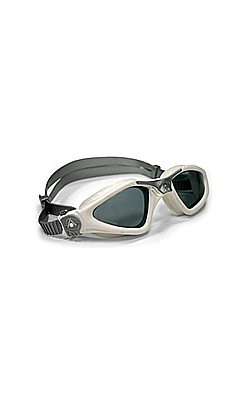 I have the ladies’ specific Kayenne with tinted lenses for open water. Here is a link to the ladies’ styles: http://www.aquasphereswim.com/us/index.php/products/eye-protection/ladies You can buy them locally at Team Aquatics https://www.team-aquatic.com/store/index.php in Burlington at 8-4155 Fairview Street. Sore Feet: If you have achy feet because of running or wearing beautiful but impractical footwear, consider a small tool to help you out. I use a wooden “Touch Me” foot roller that I purchased at the Running Room a couple of years ago (you can buy it on eBay or Amazon). 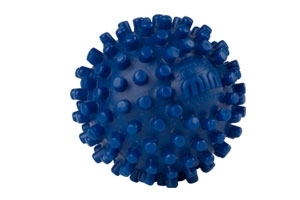 They no longer sell it, but sell an Acuball instead. There are many similar gadgets to help ease foot pain, plantar fascitis and Achilles tendinitis. Tip: I received a Runner’s World Daily Calendar for Christmas. I will pop in some useful tips here when one arises! 1) Don’t clench your fists in a white-knuckle grip. Instead, run with a cupped hand, thumbs resting on the fingers, as if you were protecting an egg in each palm. 2) Your fluids will freeze in their bottles on really cold days. Try keeping them at room temperature over night pre-run or wear your belt under your jacket so your body’s heat keeps fluids in liquid form. Here’s a good laugh from Runner’s World Most Embarrassing Running Stories on their website – this was not me!!! I always drink coffee in the morning to help get my bowels moving and cleared before I go for a run. One time I guess I didn’t “clear out” thoroughly and went on a nice paced 6 miles. When I got back and sat down with my family for lunch, my husband said he smelled crap. I smelled it too and looked at my 2 year old and said “you did a number didn’t you? Lets go change that poop diaper” Took her to get changed and looked into her diaper and it was clear. It wasn’t until later when I went for my shower that I realized the smell was from me…I had passed a stealth poop- small enough to not feel but, very potent. I never did tell my husband. Swim Training Checklist: Here is a list of items you will need/want to begin your swim training in March. You have 4 weeks to gather them! Biking will likely begin in April when the weather is more agreeable. You can always pick up a spinning (indoor cycling) class to “find” your legs though! Swimsuit, goggles, swim cap, flip flops, water bottle, towel, mesh bag for shampoo/conditioner/body wash to take on deck with you, print off 12 lesson plans and put in Ziploc or have laminated, buy swim pass if not a member at Glen Abbey Rec Center ($36.28 for 10 swim sessions). One Chick suggested I add bikini wax to the list things to do to prepare for swimming!! Good idea!